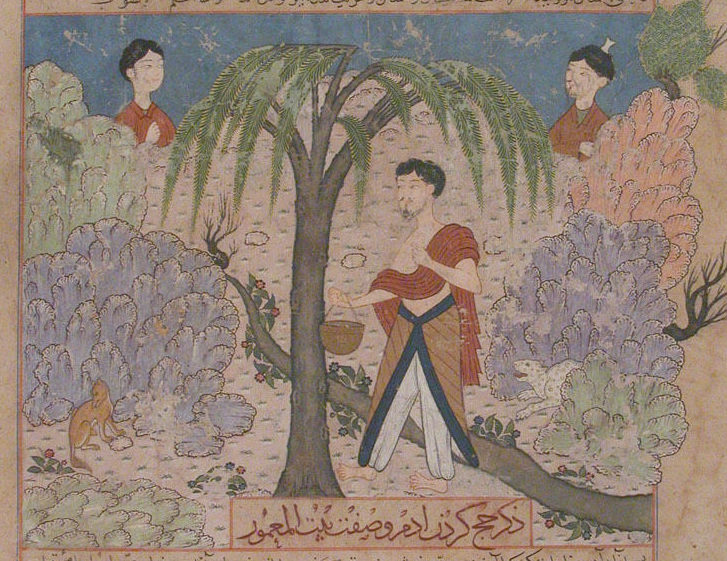 Introduction: The origins of language, the character of the link between expression and sense (lafẓ and maʿnā), and associated questions about language change, were standard topics of investigation in Arabic grammar from the early 11th century, and in Islamic legal theory from the 12th century, under the heading of waḍʿ al-lugha, “the conventionality of language” or mabdaʾ al-lugha, “the origin of language.” The legal theory texts typically start their back-history of this topic with the Muʿtazilī thinkers alʿAbbād b. Sulaymān (fl. ninth century) and Abū Hāshim (d. 933) who each proposed theories of the origins of language. Despite several important modern studies of the underlying intellectual questions involved, however, the variety of ninth-century opinions is still somewhat mysterious. Early exegesis of Qurʾān 2:31 “God taught Adam all the names…” makes no mention of what happened to language after this, concentrating instead on a dispute about whether the names God taught Adam were the names of “all things,” mainly including names of species, or whether they were the proper names of the angels and Adam’s future descendants. Although the prophetic histories indicate that from an early period the idea circulated that Adam spoke all the languages of the earth (perhaps Aramaic with Eve and Arabic with God), these sources do not discuss language change.